Sitting down to write this post, I feel a bit like Buddy from Elf. You know that scene when Buddy goes running into his dad’s office shouting, “I’M IN LOVE, I’M IN LOVE AND I DON’T CARE WHO KNOWS IT!”? Well, that’s how I feel about the fact that I finally found my perfect pair of jeans. It might still be more humid than hell outside, but I’ve been living in my American Eagle Hi-Rise denim. 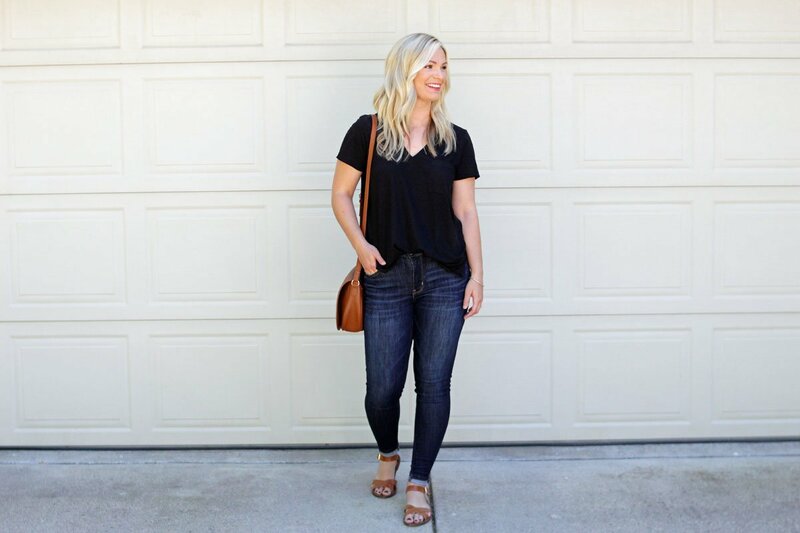 Remember a post I shared about my quest to find the perfect pair of jeans? Let me tell you – it wasn’t easy. Trying on jeans has to be up there with trying on swimsuits. It can be a humbling experience, but it usually has nothing to do with you or your body type. All jeans are created differently, which means that sizing and style differs between brands. Thinking about it now, I should’ve had the guts to take pictures of some of the jeans that I tried. It would’ve been horrifying to share, but kind of fun nonetheless. Maybe next time. ANYWAYS. Enter American Eagle. Duh! I don’t know why it didn’t dawn on me earlier to circle back with this brand. I pretty much lived in AE head-to-toe throughout high school and most of college. I even worked there the summer before my senior year of college – admittedly, it was one of the most fun jobs that I ever had! (The discount didn’t hurt either …) American Eagle always was known for their jeans, and I’m happy to discover that not much has changed. Yes, the styles certainly have but not the quality or affordability. These jeans just work. I don’t know how else to explain it. Even though these are categorized as jeggings, they don’t feel that way whatsoever. The material is thicker and sturdier, comparable to an actual denim but with some added stretch. I was able to go down a size from my normal jean size to compensate for the stretch. These don’t lose their shape at all, and I’ve said goodbye to the days of pulling up my waistband every .25 seconds. I’ve also discovered along the way that I prefer a higher-rise than most traditional mid-rises. I wouldn’t say that I have a muffin top, but mid-rise jeans seem to hit me at the widest part of my hips. That is neither comfortable or a flattering look. The American Eagle hi-rise sits slightly below my natural waist, so it’s not too high or too low. I don’t want to look like I’m wearing mom jeans, after all. The only couple negatives is that this particular style of jeans only comes in one color/wash. Boo! But, I can deal. Dark denim goes with anything. However, beware of the dreaded color runoff. The first couple times I wore these, I discovered that the dye was rubbing off onto my hands, purse, etc. I did a vinegar wash/rinse (I found instructions on Pinterest), and that has seemed to help a little bit. I’m hopeful that over time with continued wear and washing that the dye will settle. In the mean time, I’m careful to Scotchgard all my purses! For other casual style/shopping posts, check out this one and this one. bummer about the dye! i had a pair of AE jeans that did that and it eventually stopped – but i don’t wear them anymore (my fault, not theirs lol). glad you found these, they look amazing on you! I actually think the color runoff has gotten a lot better after a few washes! I haven’t noticed it coming off on everything, so maybe the vinegar wash and just general wear finally took care of it. Thanks, girlfriend! I just love that there’s an elf reference here. That’s got to be in my top 3 favorite movies! Stinks that there’s only one wash, but I really love this shade of dark! That’s awesome that you found a pair to love so much!! Haha, I’m glad someone appreciated my movie reference. 😉 Maybe they will release more washes in the future – I’m keeping my fingers crossed. But, at least the darker wash goes with everything! These look so cute on you and I love the darker wash! Okay I must go try these on. They look amazing on you! I am on the high rise band wagon for sure. Thanks, girl! The high waist makes everything so much better. I’m all about the high waist jeans these days! I love American Eagle shorts, so I think I need to try out their jeans! Thanks for the rec!! And I’m loving your hair in this post! I actually ordered those AE shorts that you rave about this weekend, so I hope that I love them as much as the jeans. Thanks, lady! I LOVE high rise jeans. Jean shopping is one of my least favourite things in the world. It is so difficult to find a good pair. I’m with you! It’s such a pain but worth it if you’re able to find a pair that you love. Finding a good pair of jeans is probably the biggest success!! I always have issues when it comes to jeans because my body is no longer how it use to be in high school. So I normally shop at Charlotte Russe or Vanity because they have a great variety of sizes for curvy girls. I really like high-waisted jeans too– anything to help make the legs look longer, lol. 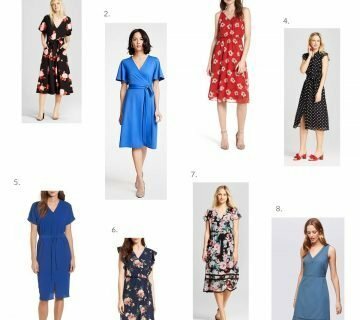 I love the wash on these– they’ll go with everything! They do go with anything and everything! I can’t stop wearing them. And, yes to anything that lengthens these legs. 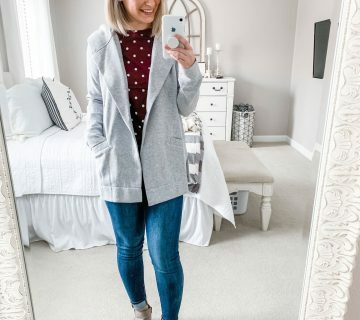 It really is awesome when you find that perfect pair of jeans, and I’m so glad that these work so well for you! I used to live in American Eagle as well, but haven’t thought to shop there recently. I’m not a fan of the rest of their clothing anymore, but the jeans! So glad they haven’t changed the quality of them. So good. Thanks, girl! Definitely not an easy feat to find a good pair of jeans. 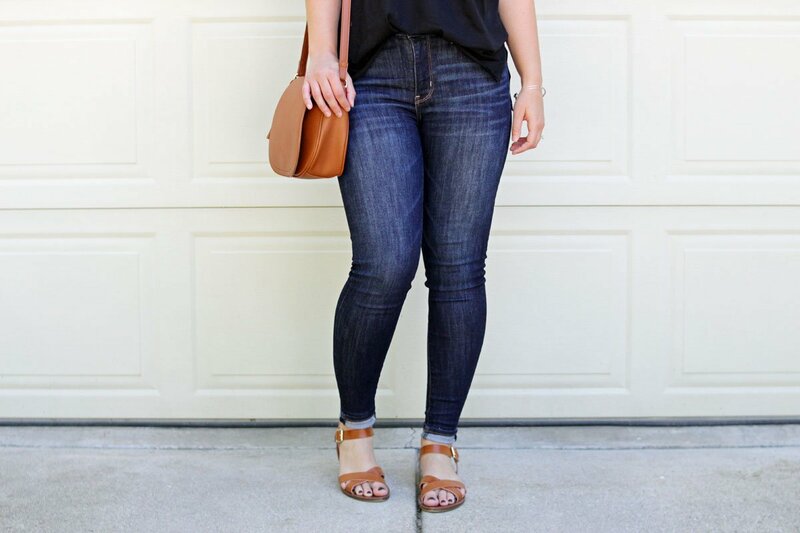 Jeans are such a necessity in any wardrobe and yet so hard to find the perfect pair! Glad you found yours! Thank you! AE, go figure! haha not trivial at all. If I found a perfect pair of jeans maybe I would actually wear jeans … ps they look great!